Arranged By – Funky Heavy ProductionBass – Grady "Rudi" Meeks*Drums – Bruce PittsGuitar – Richard "Romar" Freeman*Producer – Alvin "Lawrence" Lofton*, Mary Anne BradfordRecorded By – Vince JanVocals – Beverly Howard, Helen McGowan, Kim McFadden, Salena HowardWritten-By – Alvin Lofton, Bruce Pitts, Grady Meeks, Joseph Tate Jr.
9 –Rhythm Machine (2) Whatcha Gonna Do? 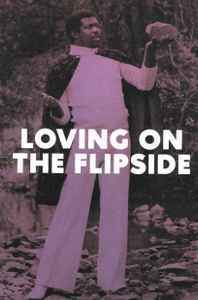 The long overlooked ballads from the flipsides of the funk 45s in the Now-Again and Truth & Soul vaults. 80 page booklet with full annotation, extensive liner notes and never-before-published photos. Track 5 gives the organ credit to Leon Haywood or Clarence McDonald, the guitar credit to Jack Scott, Francois Vaz, or Barry Zweig, and the bass credit to Harvey Newmark or David Parlato. The trumpet is credited to "Dwight" on track 15.
one of the best compilations ever!